Are you looking for illegal immigration legal help? If you are an illegal immigrant in the country and you’re not sure what to do next, retaining an immigration attorney can be a great first step. The U.S. immigration laws don’t offer up very many options for illegal U.S. immigrants to stay in the country and become a permanent resident with a green card. You should always enter the U.S. legally and leave by your leave date on your visa. If you fail to leave by the leave date on your visa, you are just as illegal in status in the U.S. as someone who came to the country without the legal paperwork or authorization. If you do find yourself in a situation where you are or will soon be becoming an illegal immigrant, the first thing you should always do is get in touch with an immigration attorney. An immigration attorney won’t be able to snap their fingers and automatically make you a legal resident, but they will be able to help you to navigate the legal system as you go through the necessary processes. An immigration attorney will also be able to ensure that you are familiar with the options that are available to you if you do want to stay in the country by becoming a legal resident. Tell Your Attorney the TRUTH! Whether you knew that you were in the country illegally or whether you mistakenly allowed your visa to expire, you should always tell your attorney the TRUTH. Your attorney exists to help YOU with YOUR case and they cannot properly represent you if you are not willing to tell them the truth about everything. Many illegal immigrants or immigrants who have allowed their visa to expire feel embarrassed or afraid to tell their immigration attorney anything that may incriminate them for fear of being deported immediately. It’s important to know, however, that your attorney’s job is to help you and once employed by you, anything you say to your attorney is covered under attorney-client privilege. You are likely wondering what options are available to you as an illegal immigrant and how a U.S immigration attorney can help you. Well, the answer to this question depends greatly on your circumstances which is why it’s so important to consult an attorney one on one so that they can tailor solutions to you! Some of these solutions can be hard to understand and if you are working alone without the help of an attorney, it’s easy to feel overwhelmed which is why you should always consult an attorney. 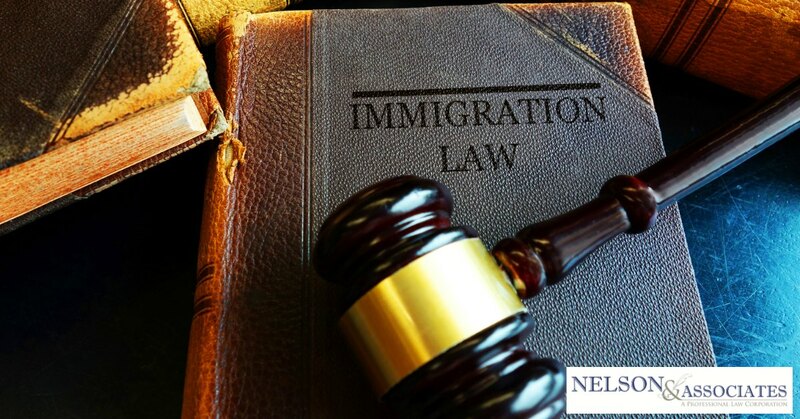 Your attorney will have the legal experience and professional understanding of the immigration system necessary to determine which legal immigration solution is right for you. Can My Attorney Report Me to USCIS as an Illegal Immigrant? Once you have hired an immigration attorney, their job is to work for you and they should always act in your best interest. Hiring an attorney to advocate for you means that what you say to that attorney is covered under attorney-client privilege. So in short, no, your attorney cannot reveal anything that you said to them in confidence as their client. How Can I Hire an Attorney if I Don’t Speak English? The language barrier often presents a wide range of problems for illegal immigrants when it comes to working with their attorney. If you don’t understand your attorney, this can result in an inability to understand what rights are available to you. If your attorney doesn’t understand you, it is hard for them to determine which immigration solutions are right for your circumstances. Fortunately, there are a few solutions available to you to make communication between you and your attorney more understandable for both of you. The first option is to ask your attorney if they have anyone on staff who speaks your language and who could serve as a translator. You can also ask your attorney if their office has a relationship with any local translators who can help to play the middleman for you. Another option is to talk to friends and family and see if anyone you know can provide translation services to help. If these avenues of finding a translator to help you to translate between you and your attorney come up dry, you can always contact your local embassy. Many times your native country’s embassy will have free translators who can help you with translation services or, in the very least, they will be able to connect you with a native tongue translator for an affordable fee so that you can ensure that you are seeking legal residency in the way that is best for your circumstance. Need Illegal Immigration Legal Help in Pasadena or Surrounding Areas? If you need assistance with becoming a legal U.S. citizen, pick up the phone and call Nelson and Associates today at 626-683-3451 so you can arrange for your free consultation right away!